I’ll be honest – I don’t look forward to doing any work that involves going to a government or government office. Government processes are infamous for being depressing, tiring and outright stressful. Thanks to heavy doses of experiences from friends and family, and representations in pop culture, government office conjures up an old dusty office, piles of dishevelled files, and less-than-enthusiastic workers. 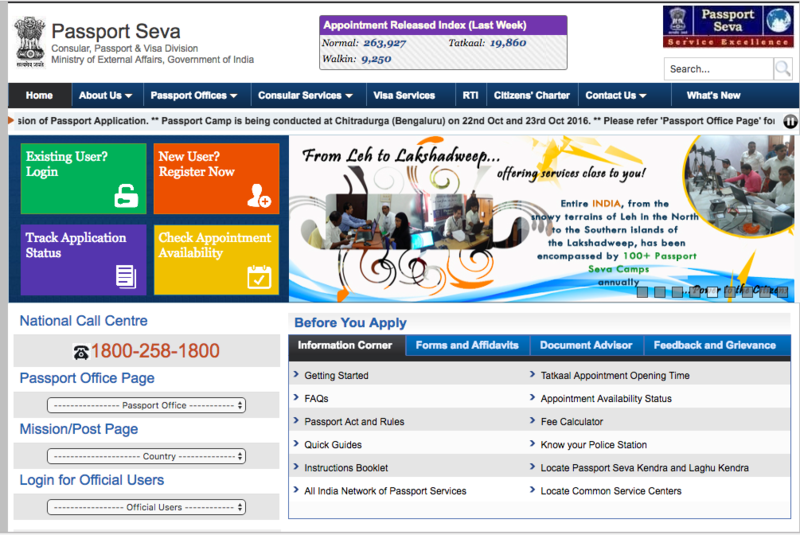 But this is how my online passport application process in India looked like. 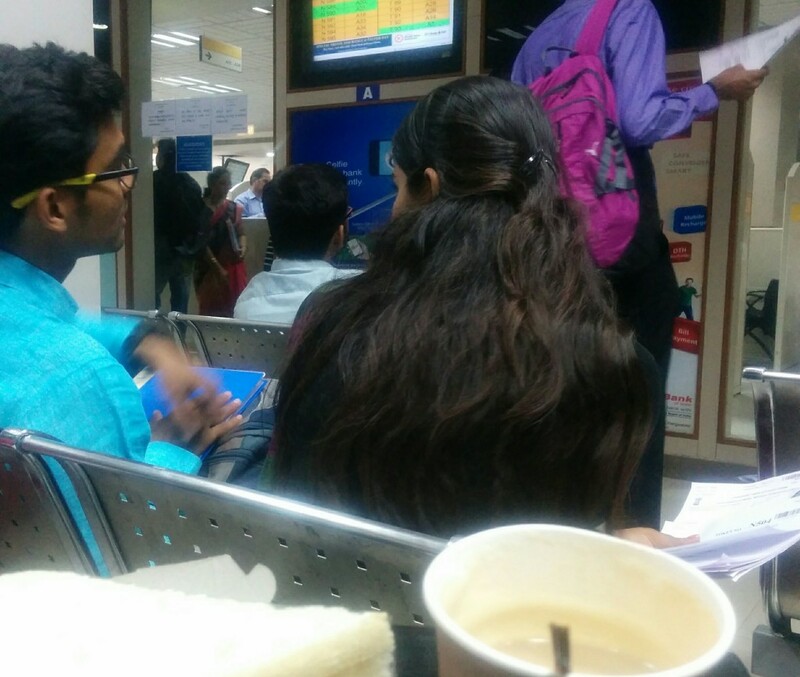 However, a visit to the regional passport office in Bengaluru to renew my passport was nothing like I expected. Maybe because it’s just Bangalore, and tech is in the city’s DNA. So be it its fledgling silicon valley, or its Blackberry-toting cops, when the government says it’s revamping its process and gearing up for a digital India, you’d better believe it. The first step towards getting a passport means logging in to a central passport website which is the first Google result for ‘Passport’. While the website per se isn’t the most user-friendly and can be challenging to navigate, it does do the job. From FAQs to checklists, the website hosts most of the information needed to apply for a passport. There’s an option to register and fill up an application form eliminating the need to go the office, procure a physical form, struggle to fill up information in the small space provided. The registration fees also is paid online through a credit or debit card or via net banking. Armed with a receipt of the appointment letter, you’re asked to report at the Regional Passport Seva Kendra (PSK) for face-to-face interviews with multiple Passport officers and finish all the rounds of the application process. Here’s where the magic of how efficient the system has become first strikes you. After the security frisking, the attending officer cursorily goes through the documents you’ve brought in and decides whether you can move to the next level. If through, you will get a system-generated token slip. 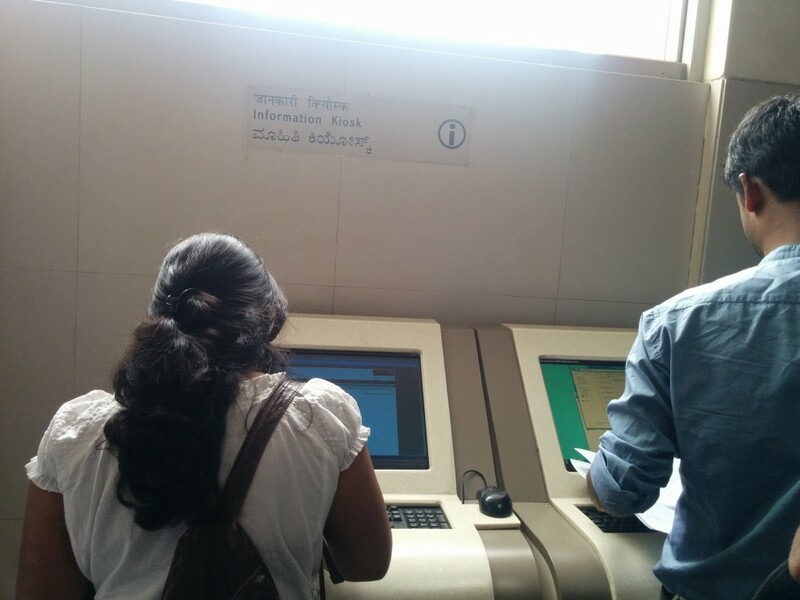 While waiting, you also have the option to get more information about the process at the “Information Kiosks” set up around the facility, along with self-servicing printing and photocopying machines if you forgot to take any printouts. After showing your slip to the security, you go inside the waiting area where your number will show up on an LCD screen and announced by an attendant. This is the first step in the 3-pronged checking process, or “counter A”. The officer will check your documents, scan and upload them to your digital file on their system. It’s at this step your photo will be taken! 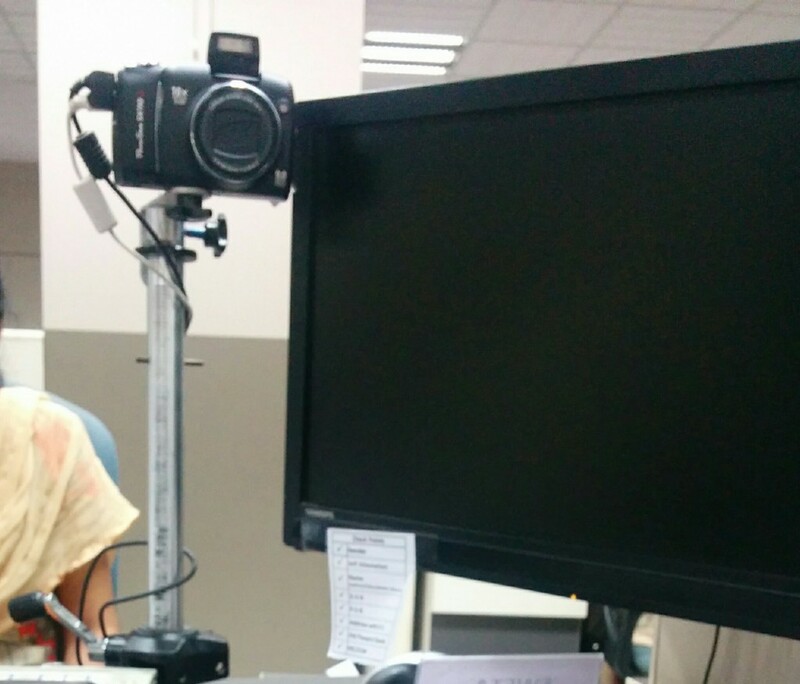 Yes, no more getting the eponymous passport photos printed and tacking them on your paper application. 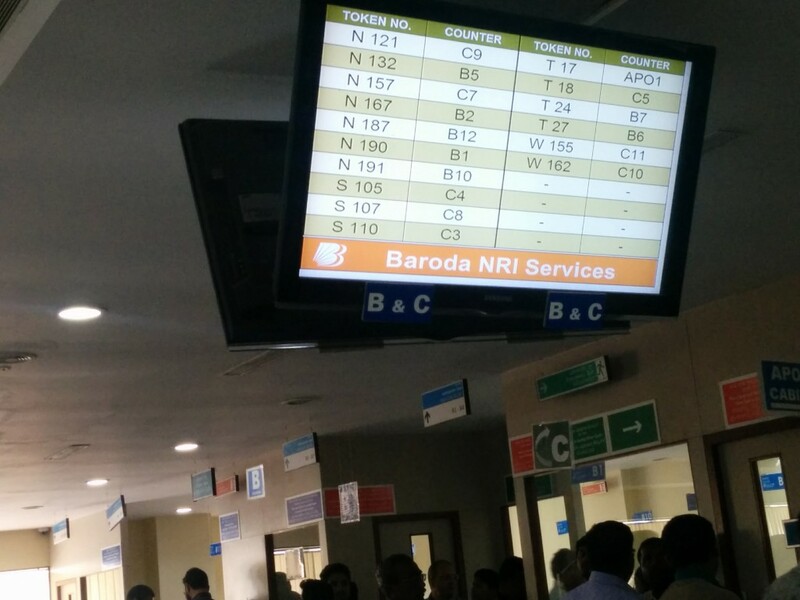 The government has gone digital and how! There are semi-DSLRS perched on every desk in the ‘A’ section, and while the photo may not match up to your model catalogue standards, they do an okay job. What’s fascinating is how instantly the photo is taken, uploaded and appended on your digital form. This is followed by a quick finger and thumb pattern scanning. After all your documents have been uploaded, photo taken, fingerprints taken, you’re now cleared for the next section or “B counters”. Before moving to this counter, you’re expected to wait and your token number will, like before, will appear on a couple of LCD screens. And while you wait for your turn, you can’t help but notice the subtle ad plugs on the LCD screen. These are usually banner ads on NRI schemes by banks. Talk about contextual targeting! The government has not only adopted digital, but also found ways to monetize its properties in the best way possible. Between your second and last round in the process, the wait is usually the longest and you could have to wait up to an hour for your turn. It’s here that you can use the time to visit the clean and well-maintained toilet, tend to a baby in dedicated “Baby care zones” if you have one, or simply grab a coffee and some snacks at the inhouse cafe. Yup, the Regional Passport Offices have an in-house cafe! Coffee, tea, subs, and some light snacks can be purchased for a reasonable price, and you can wait at the adjacent lounge area, while you keep your eyes peeled for your token number on the LED screen over a cappuccino. After you’ve cleared all the requirements to get the coveted “approved” stamp (or rather, click) on your file, you exit the building after filling up a small questionnaire at the the back of your token slip. Feel free to tell them to introduce latte at the cafe, or to improve lighting at the photo stations! You take all your documents back home, and wait. 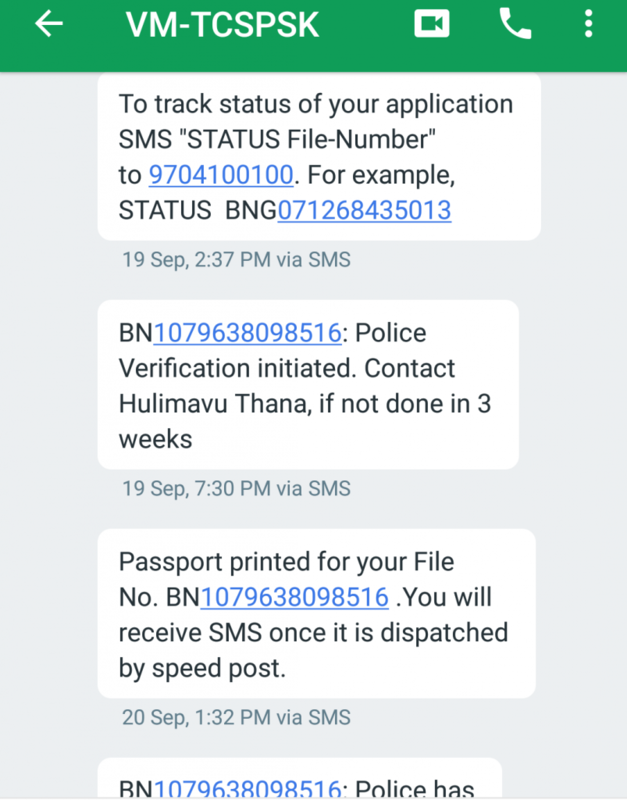 If you’ve opted in for the service, you will get constant text messages about the status of your passport application – submitted, approved, printed, dispatched, received, and later about the police verification status. Around 3-4 days later, your shining new passport arrives at your house. After you’ve received your passport, comes the last step in the process – the police verification. An officer from the nearest police station came by at the address furnished in my application to make sure I lived there. (and freaked out my house help in the process.) While we went through some questions, and I furnished some additional documents for his perusal, I was pleasantly surprised to have passed 15 minutes, and not a single mention of “chai paani’. Though I had celebrated too soon – just when the officer was out of the door, and making his way out, he did cast a “nudge nudge wink wink” look at me, ignoring which I continued to shut the door, and just then he said what was probably on his mind all long. “Madam, what about my reward?” But I really wanted to test this out. “Sorry sir, no cash in my wallet today”, said I and the officer left without making a fuss. Whew. All in all, the passport application process that I observed has become digital and user friendly, barring a few remnants of legacy-babuism. And if this is anything to go by, hopefully this can be a model the Indian government needs to adopt not only at the passport offices, but any other department still reeling under the weight of babus, inefficiencies, and millions of dusty old files.